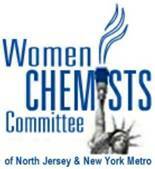 Welcome to the North Jersey Women Chemists Committee (WCC) web page. Our vision is empowering women throughout the chemical enterprise. If you have any questions about WCC or if you would like to be added to our email list, please contact one of our committee members. All are welcome to join at our events! We are planning to do this at least twice a year. Scent sommelier Kelly Jones, the founder of Kelly+Jones, will share her inspirational story and fragrances designed to pair with wine. Her unique perspective on wine takes away the stuffiness for wine beginners while taking the game up a notch for the experienced wine connoisseur. Kelly has been featured in Food and Wine, Wine Enthusiast and on The Today Show. 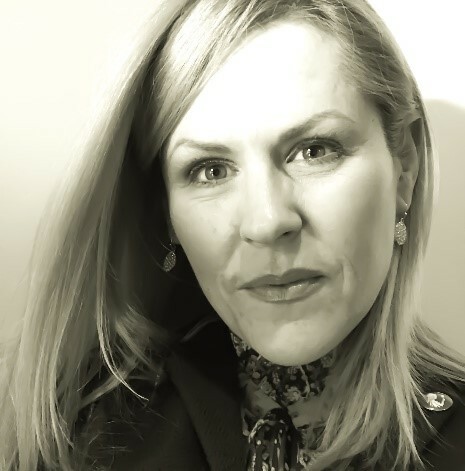 Heidi Bonwell, is certified with distinction as a Wine & Spirits Education Trust, Level 2 (WSET 2) expert and is regional manager at Tomasello Winery. Heidi will share her inspirational story on how she turned her passion for wine into a rewarding career and some tricks of the trade on all things wine- starting with to how to get the most out of that first sip and much more. Register: Paying the fee registers you for the event. From Sniff to Sip: A Sensory Adventure into the Fragrance of Wine was held on December 12th 2018 at Vibe in Riverdale Square Mall. The all-inclusive event held 50 attendees from a variety of backgrounds such as the ACS, Eastern Analytical Society (EAS), Women’s Flavor and Fragrance Committee (WFFC), and Society for Cosmetic Chemists (SCC) as well as non-scientists and their families with backgrounds in acting, firefighting, nursing and web design to name a few. The crowds’ diversity allowed for some very fun and lively discussions on the wines, the fragrances and what memories and feelings they invoked. Our two speakers, Kelly Jones and Heidi Bonwell, traded off stories and colorful tips about wine and fragrance throughout the event where guests were able to sniff Kelly’s amazing wine fragrances while sipping some of Heidi’s expertly selected wines. The scents and wines complimented each other and brought out the best in each for a unique sensory experience for all of the guests. Scent sommelier Kelly Jones, the founder of Kelly+Jones, gave a unique perspective on wine took away the stuffiness for wine beginners while taking the game up a notch for the experienced wine connoisseur. Kelly shared her passion for fragrance, how it got her kicked out of a wine tasting room and inspired her to start her own company. Kelly showed our guests how to get the most out of a fragrance, how to use the instruments of the trade and what inspired her unique fragrances. Kelly + Jones is a boutique fragrance brand featuring olfactive experiences inspired by the vineyard and beyond. Kelly has been featured in Food and Wine, Wine Enthusiast and on The Today Show. Heidi Bonwell is the Regional Manager Tomasello Winery Tomasello Winery. Heidi’s passion for wine began in 1990 as an exchange student in Australia. She started growing her palate and knowledge base while living in Benalla, Victoria, where she was able to visit many of the wineries in the state. Heidi is certified with distinction as a Wine & Spirits Education Trust, Level 2 (WSET 2) expert and is regional manager at Tomesello Winery. Heidi shared her passion for wine, how she turned it into a rewarding career and some tricks of the trade on all things wine- starting with to how to get the most out of that first sip, what is the best temperature to bring out the best flavor and how to properly store left overs. A special thank you to our sponsors . . .
. . . and to the people that donated to Tackle Kids Cancer and helped us to raise over $150 for the cause http://www.tacklekidscancer.org/. The Children’s Cancer Institute at Hackensack University Medical Center started an initiative to raise funds and awareness for pediatric cancer patients called Tackle Kids Cancer. The MWCC will be hosting a social gathering/networking event called “Painting Chemistry”. Aimee Bergvall from Zest 4 Art will be leading a painting class where attendees will learn how to develop masterpieces on old vinyl records. A preview of the painting and additional information can be found at http://zest4art.com/calendar-2/. The cost will be $35 per person. Light refreshments will be provided. Please register by sending an email to sbolton@ramapo.edu. Time: The event starts at 6:00pm and includes light refreshments. The Metro Women Chemist Committee invites you to the 5th annual Gift of Mentoring Award Ceremony. The evening will include a panel discussing the importance of mentoring, from the perspectives of both mentors and students. The cost is $20 ($10 for unemployed/students). Please pay at the door. Feel free to bring a bottle of wine. Also, please feel free to pass this announcement on to your colleagues and friends. Please RSVP by March 25th. Val and Mark Kuck are both earning their 50 year member status in 2014 but will not be able to join us for the more established Awards Dinner to be held in May, as they are moving to San Diego. Because they have given the NJACS more than 40 years of dedicated and selfless energy and effort, we must celebrate this fantastic duo. Therefore on the same night that we celebrate Gift of Mentoring Award Winner, we will celebrate Val and Mark Kuck!!!!! ACS-NJ Metro Women Chemists Committee would like you to join us for “Doin’ Dishes” Tuesday, February 19th 2013 – 6:00pm. 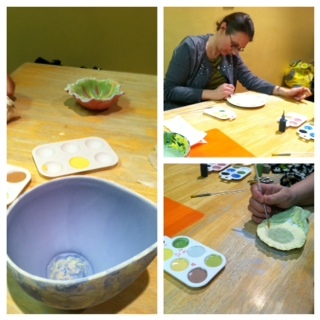 We will be painting pottery at “Doin’ Dishes” – a Paint Your Own Ceramics Studio in Montclair, NJ, on the corner of Church St. and South Park St. at 50 Church St. Visit their website, www.doindishes.com, for more details and directions. Come join us for an evening of artistic expression, stress relief, and conversation with some interesting ladies. Space may be limited so RSVP as soon as you can – an RSVP would be appreciated by February 14th, 2013. To RSVP contact Sarah Carberry: sbolton@ramapo.edu. A printable flyer is available upon request. Choose from a wide selection of over 150 ceramic pieces. Unfinished pieces range from $5 to $33. Select colors from a paint chart. Paint it using brushes, sponges, stamps, or stencils. Paint time costs $7/hour (Tuesday Special is $7 for the whole evening). Includes unlimited use of paints, supplies, idea books, and instruction. Leave it to be glazed and fired in our kiln. Your masterpiece will be ready in one week. Take it home and ENJOY. Despite the rainy cold weather the Metro Women Chemist Committee held its 2013 spring networking meeting on February 19th. The meeting was held at “Doin Dishes” in Montclair. The ladies who attended painted pottery, enjoyed wine and cheese, and networked. It was interesting to see the artistic side of the members, a few examples of the finished products (pre-fired) can be seen below. To receive more information about our group, future meetings, or to be added to the mailing list please contact the chair of the committee: Sarah Carberry at sbolton@ramapo.edu.